Coming late summer 2018... BAY ROSES! In 1827, a cult in Western Illinois sequesters themselves. Shunned for their beliefs in polygamy, they struggle to adapt to their new environment. They’ve been driven from their colony in Rochester, New York. They now isolate themselves guarding against the day when others will attack their community. 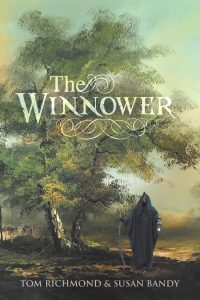 To ensure the commune's future after years of inbreeding, the elders choose the dark-eyed, black-haired Eli Thornman to become the winnower. He uses his imposing frame to his advantage, seeking to intimidate his fellow settlers. His freakish looks complete the image of a man bent on doing evil. As a youth, he was the victim of a horrendous attack on his commune where he was severely burned, disfigured, and emasculated. Eventually, be becomes a twisted fiend who enjoys his elected duties as winnower of the weak and helpless too much. 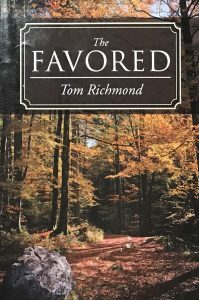 While learning of the evil deeds of Eli Thornman, the reader is invited to engage in the history of the Illinois prairie and the influences of the southwestern Illinois Indians of the day as background. Meanwhile, Tobias Goode, a young man among the settlers, steps up and challenges the thoughts of the elders of the commune. 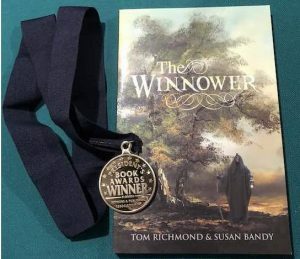 The reaction to those challenges and Tobias' development because of their reactions make The Winnower a book very much worth reading. He learns about leadership and following leaders he trusts by knowing what ideals they stand for and not just accepting and following along. Allen Williams was already making something of his life. He was preparing himself for a meaningful future by earning excellent grades in High School. 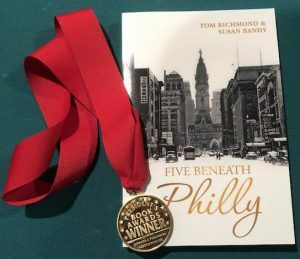 Also, he qualified for a full-ride scholarship enabling him to climb out of the squalor that was South Philly in the sixties. Clearly, he held dreams of a bright future ahead. Suddenly, tragedy stuck in the form of a fatal heart attack suffered by his dad. Fate cruelly changed his whole world. Being the oldest male in a family of six, his father’s death left him responsible for the entire family. Although shaken by the awesome burden, he managed to overcome his fate by holding on tight to his dream. Forced to be the family provider, Allen planned an adventure with his two friends and his true love, Amy. 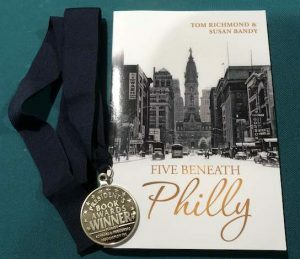 They began an exploration under the streets of Philadelphia which brought them adventure, a real struggle for their lives, and treasure beyond their wildest dreams. In the end, there was treasure, but the they gained the true gift of friendship for a lifetime. See More…. WWII US Naval forces discover compelling evidence the Japanese are planning an attack on the Panama Canal. The excitement builds as the treachery of the Japanese plan unfolds. Something had to be done! American O.S.S. 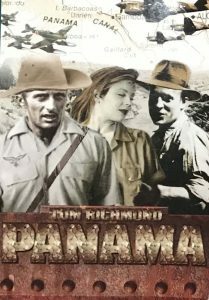 agents, Rick Reitan and Kelly Huni, become allies of a Nazi leader of guerilla forces in Panama in an attempt to foil the powerful Japanese onslaught. Experience the passion and betrayal as the defenders go from city streets to the darkest jungle to keep their pact to preserve the seas and the canal at all costs. 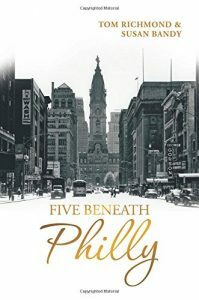 A great read with evidence of collaboration with unlikely partners, an unfolding love story, and an accurate exposure of unbelievable facts of historical significance make this fun, factual, and a learning experience all in one book. Investigative reporter, Jason Banning, and his fiancee’, Carrie James, receive an unwelcome reception when they first arrive in the small rural community of Hittleton. They are there on assignment to get a story about the sons of the heartland, direct descendants of the original settlers. They uncover a number of clues leading them to conclusive evidence of a very cold case triple murder. Suspense builds when Carrie is wounded in a suspicious hunting accident. Meanwhile the awkward riddles of Ellie, a backward daughter of a pillar of the community, are all Jason has to go on until he discovers a mysterious meteorite on Vernon Hittle’s property. Thereafter, Jason will stop at nothing until he reveals the ultimate secret of the seven patriarchs of Hittleton who are, it appears, miraculously fortunate in their ancestry. Four University of Florida graduate students discover the Darien Gap in Panama as they search for gold. A map left behind by buccaneers in 1702 is used as their guide. The map says the gold is hidden in a well, and was left there in 1702, but is it still there today? Terry Marston and his friends encounter many hardships while searching for the treasure through thick rain forests and dangerous rivers of Panama and they encounter unfriendly inhabitants. 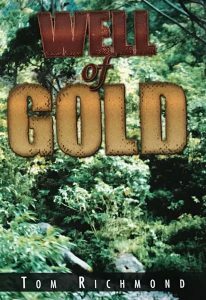 Eventually they discover man is their greatest adversary as they seek the gold hidden for 300 years. Frank Barrett meets Ramsey Davis at Ft. Walton Beach, FL. He finds himself deeply in love and marries her to begin the next chapter of his life. But, Frank must leave Ramsey behind when he reports for duty as a pilot in the US Air Force in December of 1970. Frank “Bee Sting” Barrett returns home to his wife, an ace captain and an excellent pilot. Everything is great again. Then, tragedy strikes. Frank is witness to the loss of the love of his life, pregnant with their first child. A drug runner named Little Eddy causes this cold blooded event and Frank is filled with revenge. Frank is filled with grief and rage, as he pursues Little Eddy to seek the ultimate measure of revenge to settle the score. He leaves Eddy for dead in Panama, but as a cat with nine lives, he turns up again in Florida. Will the Mafia get to Little Eddy before Frank does, or will he succeed? 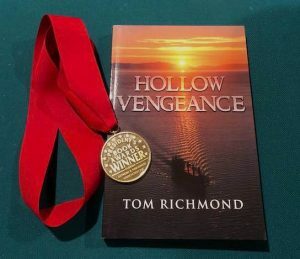 Hollow Vengeance is a story of love, loss, and revenge which follows Frank from Florida to Panama to Southeast Asia and back. Frank tries to find peace and get retribution for his wife’s death without losing himself. Can that be done? 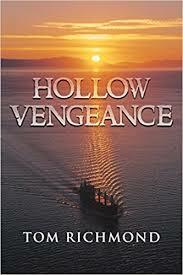 Vengeance is hollow and hurts the hunter as much as the hunted.